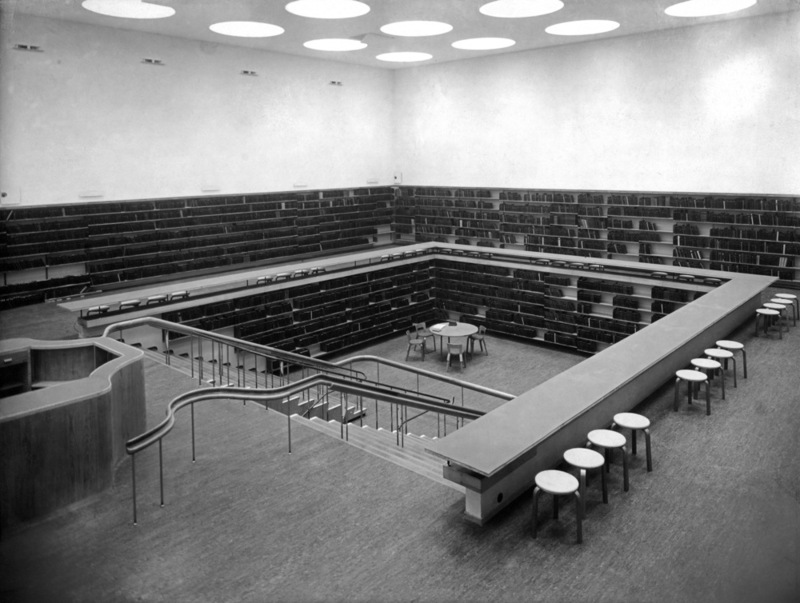 Alvar Aalto first won the public design competition for the Viipuri Municipal Library in 1927 with a classical proposal. However, by the time the construction work on the library finally began in 1934, the design had changed considerably. In its final form, the Viipuri Library is an early example of Aalto’s humanistic architecture. In the exhibition the library was presented in its original form. The aim was to publicize the restoration project and to help collect funds for its realization. The exhibition consisted of a scale model, enlarged original photographs and working drawings and written and pictorial documents. Examples of furniture originally used in the library were also shown and a touch of the original feeling of the library was achieved by using samples of the same materials as were used in the original interiors. The exhibition was accompanied by documentation of the post-war phases of the library, the restoration project, and the current situation of the repairs. The exhibition started its tour in Jyväskylä, Finland in 1994 and toured in the United States from 1996 to 1998. It was organized by the Finnish Cultural Institute in New York, the Museum of Finnish Architecture, the Finnish Committee for the Restoration of Viipuri Library, and the Friends of Viipuri Library.